A few choice Serbian swear words must have punctured the night air of Santa Cruz as in form Sporting Gijon stole a 0-1 victory over CD Tenerife. They were cries of frustration for the home players, misfiring forward Malbasic, and booked midfielder Racic who topped up his tally for a one game suspension. For visiting striker Djurdjevic it was in joy and relief that his 37th minute hand ball goal went unpunished by the ref. 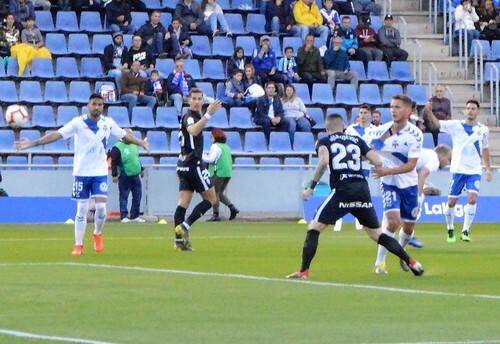 It was another Tenerife performance with much for the home supporters to cheer but the old curse of missed chances was evident again. Oltra rejigged the defence with Jorge Saenz retuning from his suspension, Alberto was dropped after a poor run of form, and Isma Lopez kept his place at left back. Lopez unlocked the Gijon defence with an early cross to Borja, his shot was true but keeper Mariño reacted well to push the ball away. Mariño was fortunate with a later attack when Malbasic used his strength to get into a good position but only delivered a weak shot. Suso was furious at himself for beating the away defence before finding the keeper with a low shot. The home defence were doing well to repel Sporting´s best advances, Luis Perez saw off Garcia and Djurdjevic in the space of a few minutes. Shortly before half time, Dani got a hand to a low cross and did just enough to push it upwards, Dos Santos swung wildly at the ball and missed as Djurdjevic jumped up and redirected it into the net with his hand. 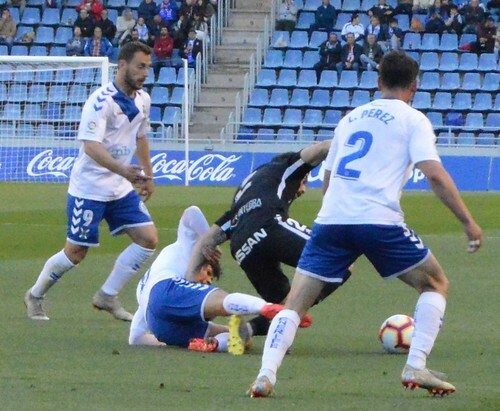 It was a tough one for the ref as the Serbian strikers body shielded his illegal touch, and it came a season too soon for the introduction of VAR to the Segunda Division. 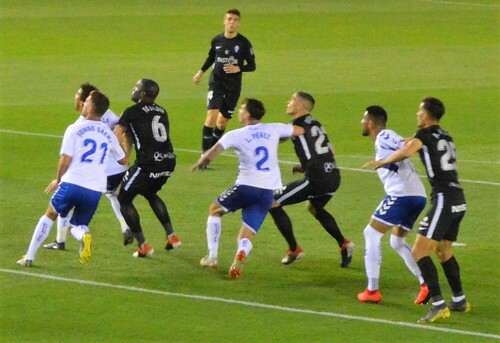 It was a hammer blow but Tenerife came out for the second half with a positive attitude, Borja and Naranjo opened up the Gijon defence with a flowing move that had everything – except the finish. Coach Oltra made a double change, withdrawing Borja and Naranjo and introducing strikers Coniglio and Nano. 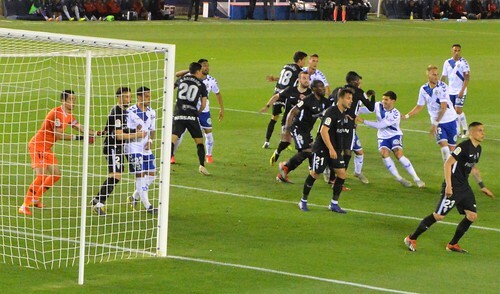 Neither of the new front men looked like scoring, Coniglio can jump but can´t head with direction or power, and Nano only showed a brief glimpse of hunger when he shook off his marker but couldn´t get a decent shot in. Another mazey dribble from Suso went agonisingly past the post Gijon had chances to increase their lead, Dani Hernandez denied Djurdjevic, and a free kick was sliced wide of the target. Traver turned Lopez inside out but could only muster a poor shot. Montañes was the final home sub as an attacking gamble in place of Luis Perez, the oncoming wide player is another destined to be culled in the summer and made no real impression. Dani Hernandez was steady as a rock when he showed his class again by turning a late shot wide. The spectre of relegation still stalks the corridors of the Heliodoro, other results meant the gap from relegation is just four points with nine games to play, Tenerife have to sharpen up in front of goal. Oltra´s short term contract runs out at the end of the season and the clubs sporting director has indicated that there will be a big summer clear out. There´s plenty for the staff to play for, and another 10,000 plus crowd showed that they will do their bit to push the team over the line to safety.